Mr. Mathew Burtt was promoted to President of Brown & Brown Lehigh Valley office in April of 2015. He is responsible for operations and production in the Lehigh Valley office. He began with the company in 2002 in the Clark NJ office. He since moved to run the Marmara NJ office and soon after was promoted to run the Mt. Laurel NJ office. Prior to joining Brown & Brown, Mathew worked as an Executive Vice-President with The Turner Group in Parsippany NJ. Mathew manages accounts in the tri-state area and specializes in the formation and implementation of guaranteed cost insurance programs for public and private educational institutions. He is a frequent speaker at Charter School risk management and insurance conferences. Mathew takes pride in teaching our Brown & Brown process to our young sales staff to differentiate ourselves against the competition. Mathew earned a Bachelor of Arts degree from the University of North Carolina at Charlotte. Mathew and his wife Kimberly have three young children and reside in Center Valley PA. Mathew & Kimberly spend most of their free time with the kids and can usually be found cheering them on at lacrosse games, basketball game, and cheerleading events. David is the Commercial Sales Manager of Brown & Brown Insurance of the Lehigh Valley, where he leads the sales team as well as finds commercial insurance solutions for middle to large market clients. David offers extensive knowledge and experience writing insurance for the home health, transportation, construction, and hospitality industries. Prior to working at Brown & Brown, David worked in service support then sales at Paychex, quickly becoming successful in the HR and insurance industries. David was named Rookie of the Year during his first year of selling at Paychex and consistently maintained his status within the top 5% year after year. David then joined Brown & Brown Insurance, where he continued to exceed sales expectations. He achieved President’s Club status in 2015 and was awarded for “Most New Business Clients” and runner up for “Rookie of the Year” in 2016. David was then promoted to the Lehigh Valley office as the Commercial Sales Manager, where he is committed to continuing his trajectory of success by leading a new generation of insurance professionals. David is a graduate of the Eastman School of Music, where he obtained his Bachelors and Masters in Flute Performance and Literature. David has performed throughout the country, including a notable performance with the Eastman Wind Ensemble in Carnegie Hall. David currently resides in Doylestown, PA with his wife Sue, and French bulldog Oscar. In his free time, David enjoys playing basketball, traveling, and spending time with family and friends. Dave is a National Account Executive for Brown & Brown Insurance of the Lehigh Valley. In this role he is currently responsible for insurance sales and Risk Management Services to health and human service organizations throughout the country. He has been actively engaged in the insurance industry for more than 30 years. In addition to his responsibilities to his clients Dave also acts as a liaison with several trade organizations that endorse Brown and Brown of the Lehigh Valley. Prior to joining Brown and Brown Dave worked as an underwriting supervisor at several major insurance companies. Dave holds an undergraduate degree from Susquehanna University and an MBA from Lehigh University. He has an Associate in Underwriting designation as well as his Certified Insurance Counselor (CIC) designation. Jillian has been an Account Executive with Brown & Brown for over 10 years with a distinct focus and specialization in community associations. Since joining Brown & Brown, Jillian has built and acquired a direct client base of over 130 community associations. She takes pride and is passionate about educating board members and property managers on how each association’s policy would respond in the event of a loss. Jillian also regularly attends board meetings to educate community residents on how their personal policy should dovetail with the association’s insurance policy. Jillian’s expertise is concentrated in the unique coverage and risk management needs of community associations. For new and existing customers, she reviews policy coverage terms and conditions as well as monitors the claims handling process. Jillian also assists to insure that proper contractual risk transfer is in place with all outside vendors. Jillian is an active member of the Community Association Institute of New Jersey and Pennsylvania. Jillian earned a Bachelor’s degree from Bloomsburg University. She and her husband Matthew reside in Lehigh Valley, PA with their two children Michael and Ava. John is an Insurance Broker for Brown & Brown Insurance of the Lehigh Valley. In his role as Broker, he is currently responsible for sales and service to manufacturing, retail, human service organizations, municipalities and authorities, school districts, contracting and designing. He services over 100 national clients with over $7,000,000 in premium. He has been actively engaged in insurance sales since 1970. John started his career as a rate analyst for a large independent agency. Shortly thereafter he entered the sales and marketing area of insurance. He joined the Lehr Companies in 1985 as Account Executive and was honored with the Account Executive of the Year Award four times. Prior to joining Lehr he worked as Director of Marketing for an agency where he assisted the sales force in their goals and as a Special Agent for an insurance carrier where he assisted agents in their marketing of products. John received his Certified Insurance Counselor (CIC) designation in 1983. John has served as a volunteer for a number of human service organizations in the capacity as President of the Board, Director, Regional VP, Individual Development Director and Membership Director. He organized and implemented a major move of a radio station for a local reading service for the visually impaired and a statewide membership program for a service organization, as well as working on an individual development program keynoting across the state of Pennsylvania. For more information, please contact us at (800) 634-8237 or visit our Web site at www.bbinslv.com. Mr. John F. Ehresman is a Senior Insurance and Risk Management Advisor for Brown & Brown. 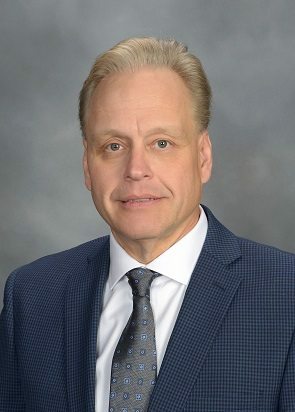 After Graduating from the University of Scranton in 1990, John started his professional career at Brown & Brown, Inc. (Previously Henry S. Lehr, Inc.) as a commercial lines insurance producer. In 1991 John earned the Accredited Advisor in Insurance (AAI) designation from the Insurance Institute of America and began a specialty practice of working with Human Service/Behavioral Healthcare organizations. After receiving extensive training by the St. Paul Companies in medical malpractice and related lines, John went on to be named the St. Paul Partnership Producer of the Year in 1993. As a result of his outstanding client service and account retention rate John was named the Henry S.Lehr, Inc. Account Executive of the Year in 1994, 1995 and 1997. Over the last 26 years John has designed new property and casualty programs for over 150 commercial entities with a concentration in Non Profit/Human Service organizations in Pennsylvania, New Jersey and New York. Brown & Brown is now the single largest insurance broker for community mental health centers and children’s residential facilities in the Pennsylvania and New Jersey. In recognition of his dedication to New Jersey human service accounts, in 2011 John received the “Community Partnership of the Year” award from the New Jersey Alliance of Children, Youth and Families. In 2013 he received the “Courage and Compassion” award from the New Jersey Association of Mental Health and Addiction Agencies. John enjoys participating in regional fund raising events and advocating on behalf of his clientele. He currently serves as President of the Board of Directors of The LifePath Foundation, Inc., which has one of Pennsylvania’s largest fund raising divisions for non-profit corporations serving individuals with intellectual and developmental disabilities. Lisa comes to Brown & Brown of Lehigh Valley with over 28 years’ experience in commercial property/casualty insurance. She maintains a deep commitment to reducing the effects of loss and increasing an organization’s overall profitability through effectively analyzing exposures and implementing sound risk management practices. Her enthusiasm to confront challenges with a positive and constructive attitude helps her to succeed in resolving difficult issues. She provides a multitude of resources to facilitate and implement effective best practices in organizations. 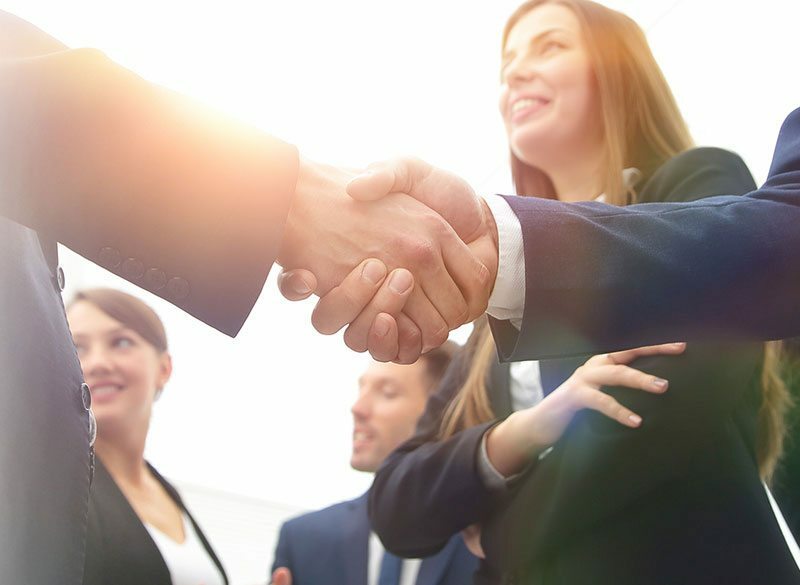 Her extensive knowledge in reviewing and modifying hold harmless & indemnification agreements, as well as insurance contracts, has helped to improve the financial and legal position of her clients with their subcontractors, suppliers, and vendors. She possesses thorough knowledge of commercial lines insurance products & coverages, as well as the ability to audit policies to ensure they do not contain any coverage gaps. Lisa has a proven track record for effectively and aggressively negotiating the reduction/closing of claims. She is uncompromising when it comes to attacking fraudulent claims. Lisa has extensive experience in working with insurance captives and regional purchasing groups. She successfully interviewed, negotiated, and coordinated third party claims and loss control services and held quarterly performance meetings on behalf of the captive’s members. Patrick (PJ) Vrabel is the team leader of the Employee Benefits department of Brown & Brown of LV. He started with Brown & Brown 2011 as a producer where his focus is to achieve client satisfaction and trust. Currently he manages all of the comprehensive services, product offerings and customized solutions to employee benefits clients of Brown & Brown of LV. He and his team diligently work with each client to ensure outstanding results and lasting relationships. PJ graduated from Mansfield University in 2002 with a Bachelor Science Degree in Business Administration. He has achieved the Group Benefits Associate designation from International Foundation of Employee Benefit Plans and Wharton School of the University of Pennsylvania. PJ currently resides in Easton, PA with his wife Tiffany and three children Cole, Connor and Madeline. He enjoys spending time with his family, exercising, listening to music and is an avid sports fan. Paul has been an Account Executive for Brown & Brown, (formerly Bowers Schumann and Welch) for over twenty five (25) years. His primary focus is in the administration of insurance programs for municipalities, municipal authorities and regional police departments. He currently administers the Pennsylvania Municipal Insurance Program (PAMIP) and the Keystone Municipal Insurance Trust (KMIT) for over 125 Brown & Brown clients. Prior to his Agency experience with Brown & Brown, Paul held various positions with insurance companies in New York City, Los Angeles and Bethlehem, Pennsylvania. In addition to assisting individual clients with their insurance and risk management needs, Paul has conducted seminars and presentations for local government associations as well as for the PLGSA (Pennsylvania Local Government Securities Association and PSATS (Pennsylvania State Association of Township Supervisors). He has also published an article on Law Enforcement Liability for the Agent and Broker Magazine. Paul currently serves as a member of the Hanover Township (Northampton County) Planning Commission. Paul is a graduate of the State University of New York at Binghamton and has earned his Certified Insurance Counselor (CIC) designation. Bob is a Senior Vice President for Brown & Brown Insurance of the Lehigh Valley. Bob brings a unique perspective to Brown & Brown accounts having been both on the company and agency sides of the business. He has been actively engaged in insurance marketing, sales and underwriting for over thirty (30) years. 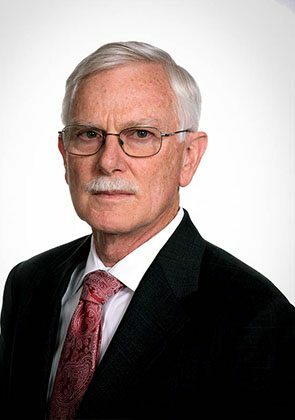 Bob started his career with Aetna Casualty and Surety in their Marketing Department in 1973. He worked through the position and was on the Management Promotion list when, in 1980, he left to accept a position with an insurance agency, Henry S. Lehr, Inc. Bob held various positions with Lehr from account executive to Senior Vice President from 1980 through 2001. In October of 2001, Bob accepted a position with Brown & Brown as Sales Manager. In February, he took on the responsibilities of Marketing Manager as well. In June of 2002, he returned full-time to the position of Sales Manager. 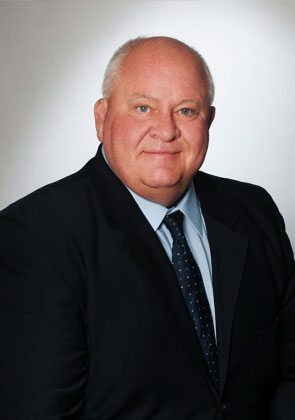 In 2006, Bob was promoted to the position of Senior Vice President. Bob has a CIC designation and has also successfully completed some CPCU coursework. He has attended numerous management, sales & marketing courses and currently handles a book of commercial business for Brown & Brown. This translates into the “best of class” understanding of risk and service of accounts through Brown & Brown, a world class broker. Mr. Robert McCormick currently serves as a Senior Vice President with Brown & Brown of Lehigh Valley, LP. He has more than 30 years of experience in insurance and risk management. Bob has been commended for his exceptional efforts in assuring the best insurance products, expedient claims resolution and insightful business advice. His insurance career began in 1978 as an account executive at a small retail insurance agency. In 1981 Mr. McCormick joined Henry S. Lehr, Inc. He developed a clientele of larger commercial clients and was involved in the formation and growth of their national Health and Human Service practice. In 2001 Bob moved to Brown & Brown (BRO) when they acquired Henry S. Lehr, Inc. He was named a Vice President in 2006 and promoted to Senior Vice President in 2011. Bob coordinates the development of insurance and risk management programs for members of associations, affinity groups, and larger commercial organizations primarily in the not-for-profit Health and Human Service sector. He specializes in programs that provide property and casualty, professional liability, workers’ compensation and health and related insurance coverage. He works with clients throughout the United States. Mr. McCormick received his B.A. in Psychology from Moravian College. He holds both the Certified Insurance Counselor (CIC) and Certified Risk Manager (CRM) designations. He is married with three children. Mr. Ryan Weiner is Senior Vice President of the Community Association Department at Brown & Brown Insurance of The Lehigh Valley. 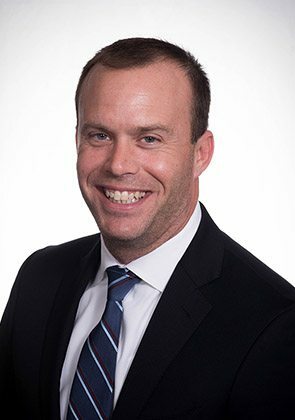 After graduating from the University of Richmond in 2001, Ryan began his professional career at Brown & Brown, Inc. as a member of the Internal Auditing team in Daytona Beach, Fl. He spent most of his time conducting financial audits throughout Brown & Brown’s 200 Nationwide offices. In 2004 Ryan earned the Accredited Advisor in Insurance (AAI) Designation from the Insurances Institute of America. With his newly earned designation he dovetailed his expertise in the industry to begin a specialty practice working with Community Associations. In addition, Ryan has since obtained his Certified Insurance Counselor (CIC) Designation. As a result of his efforts in providing the highest level of Insurance and Risk Management services for Community Associations, Ryan has developed and currently maintains a portfolio of over 300 Associations in New Jersey and Pennsylvania. He is actively involved with The Community Associations Institute and has conducted several speaking engagements on topics related to association risks linked to insurance. Tiffany is a Vice President and Risk Management Advisor for Brown & Brown of Lehigh Valley. Tiffany joined Brown & Brown in 2009 and creates and adapts insurance and risk management programs for organizations across the Tri-State Area. Her responsibilities include strategic direction on insurance coverage design, negotiation, placement and implementation, with a focus on the highest quality protection at the lowest possible cost. She makes it a priority that her clients understand all new and existing risks that their organizations face and what they can do to protect themselves. Tiffany holds a Bachelor of Science degree from East Stroudsburg University in Business Management, Finance. In 2011, she earned her Associate in Risk Management Designation and her Certified Insurance Counselor Designation in 2014. She also received her Master in Business Administration Degree from Moravian College in 2013. Tiffany resides with her husband and three kids in Easton. She enjoys spending time with her family, as well as staying active and participating in fundraising events with her clients. Tim is a Vice President for Brown and Brown Insurance of the Lehigh Valley. 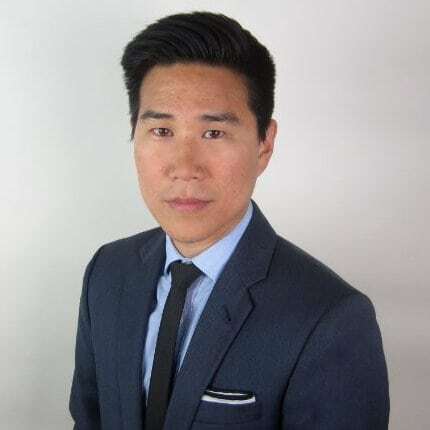 He began working for the firm in 2012 after graduating from Temple University with a degree in Risk Management and Insurance. He earned his Accredited Advisor of Insurance (AAI) designation in 2014 and his Certified Counselor of Insurance (CIC) designation in 2017. He remains continuously committed to advancing his education and industry knowledge to further serve his clients. Tim works with a variety of specialized business segments including community and property owners associations, municipalities and public entities, and a wide array of transportation-based risks; he primarily deals with transportation companies that haul hazardous commodities. Above all, Tim is passionate about working with all organizations that are open to exploring progressive ideas and solutions with respect to their overall insurance and risk management program. He takes pride in his ability to pair the distinct strengths of his colleagues with the unique challenges faced by his clients and he strives to always provide his clients with prompt service and accurate information. Tim lives in Easton, Pennsylvania. He founded the Liberty High School Alumni Soccer Team in 2013 and he’s been active in its management ever since its formation. He also plays tennis competitively. He enjoys skiing and one of his greatest pastimes has been traveling to ski mountains around the country with his same group of close childhood friends for nearly a decade. Mr. Smoko is a Senior Risk Manager with Brown & Brown Insurance Lehigh Valley, LP. In this role, Mr. Smoko is responsible for delivering safety and risk management services to clients, including risk management assessments, safety training, safety program management and the execution of plans designed to reduce the cost of risk for organizations. With over 25 years of safety and risk management experience, Mr. Smoko has worked with organizations in both the traditional insurance market as well as many self-insured organizations. Additionally, Mr. Smoko has extensive experience working with organizations in the educational, healthcare, public entity, retail, distribution, transportation and industrial sectors. Mr. Smoko earned his undergraduate degree from The Pennsylvania State University in Industrial Engineering (BSIE) and his graduate degree from Wilkes University in Business (MBA) with honors. Mr. Smoko also earned CSP and ARM credentials and maintains “Field Safety Representative and Professional Safety Source (AR)” and “Field Safety Representative (TX)” credentials. Mr. Smoko is an active member in the Lehigh Valley Chapter of the American Society of Safety Engineers (ASSE) having been Chapter President in past years and he is currently active on the executive committee. As Chapter President Mr. Smoko forged a partnership with The Lehigh Valley Safety Council which helps promote the profession throughout the Lehigh Valley. He also was voted by ASSE chapter members to be 2013 “Lehigh Valley Safety Professional of the Year”. Mr. Smoko is lifelong resident of Pennsylvania and graduated from Pocono Mountain High School. He is a member of the Lake Naomi Club as well as the American Legion Post 413 SAL and resides in Lehighton, PA near Beltzville State Park. Hobbies include golf, swimming, walking/hiking and motorsports.